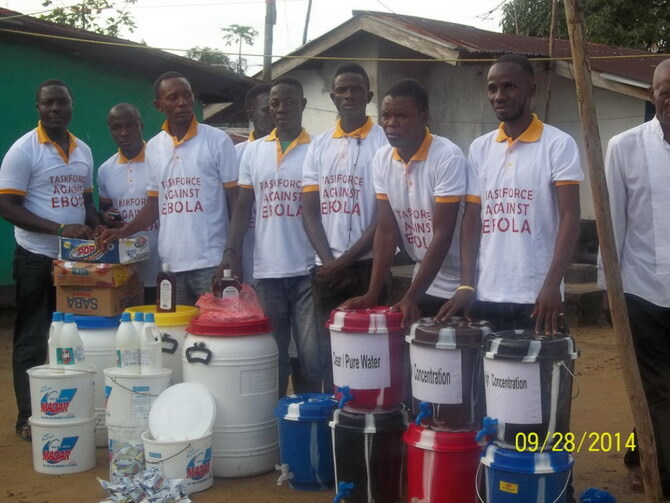 Provision of Hope continues to send out our Ebola Task Force Team to help fight the spread of Ebola. 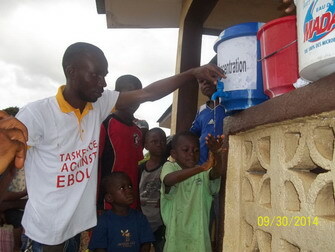 Our Team goes out with sanitizing materials and buckets, along with training on how to do the proper hand washing. 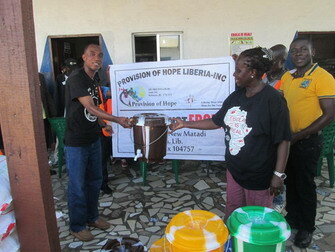 Their first assignment was to our 4 Children’s Homes, Foster Care Homes, Youth Center and our Widows. 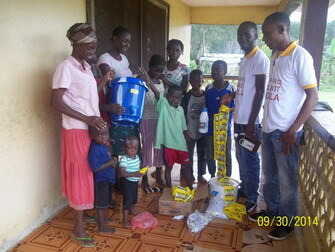 Ma Esther and her children are getting their needed supplies and a lesson on how to mix the proper disinfectants. 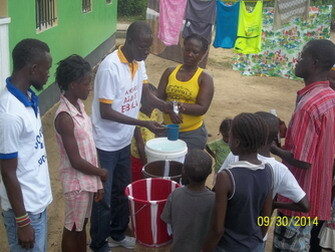 Teaching the children how to properly wash is very important. 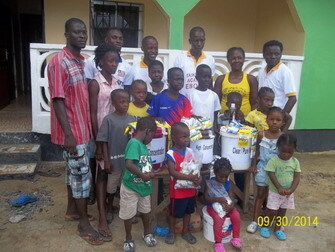 Eric & Kamah with their children receive the supplies. 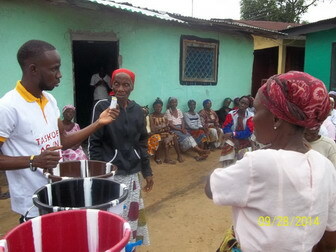 Sumo, our pharmacist, shows Kamah how to mix the proper solution. 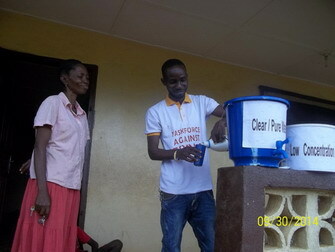 They practise handwashing with the children. 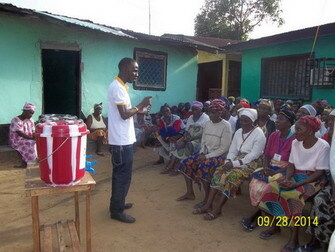 Daniel Coleman is teaching our widows all about Ebola Prevention. 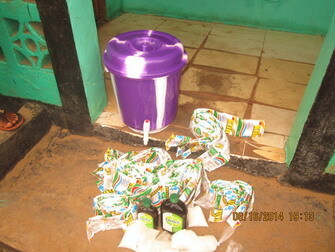 They also received sanitizing supplies. 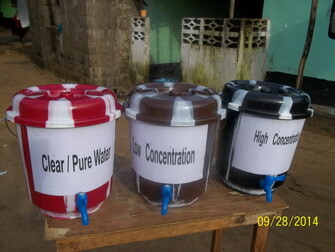 These are the Sanitizing Buckets with spouts to keep the water virus free. The photo above is a Family Sanitizing kit. 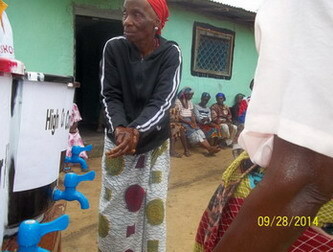 Our widows are being trained on Ebola Prevention and proper hand washing with antibacterial materials. Malcolm Harris and Daniel Keamue met with Hon. 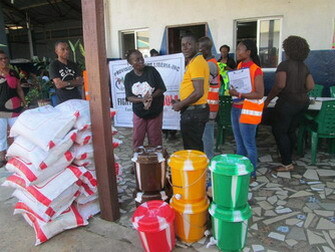 Mary T. Broh to bring a donation of bags of rice and sanitizing buckets to the General Services Agency to be given to the Care Centers for Ebola. They were so appreciative. All the Care Centers need our help!! 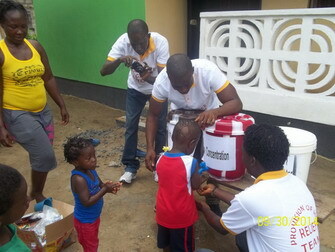 We have so many people coming to us who are hungry and desperate for help ! I have never seen it this bad, in the 11 years I have worked in this nation. AMBULANCE DRIVER’S VIDEO gives you a very good look at the dilemma this nation faces! 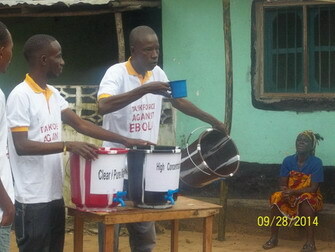 Liberia has had over 2,458 deaths out of the 9,000 cases in Guinea, Sierra Leone and Liberia. The outlook does not look good! We pray this will change and that this country will experience a break through. or call 250-454-9456 to donate by credit card.